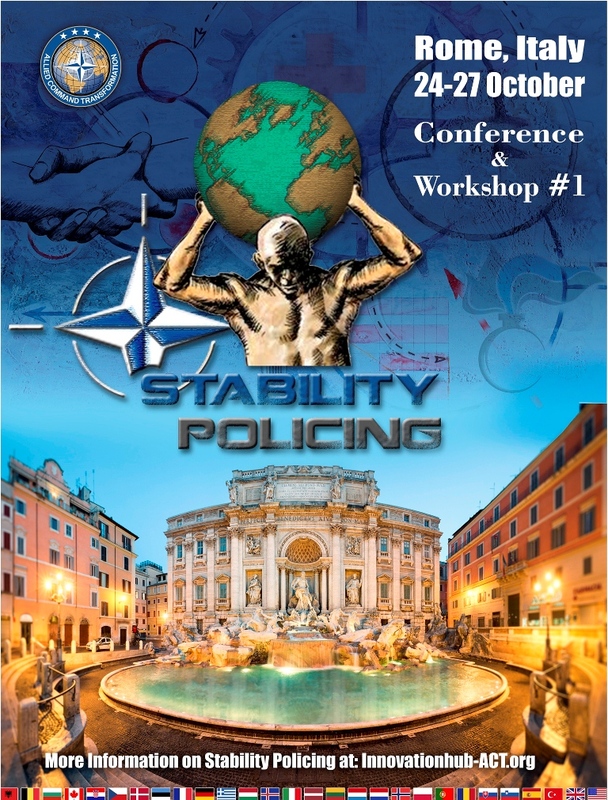 During the current week, Rome is hosting the first workshop over 65 years of NATO history on the NATO Stability Policing (SP) Concept development and experimentation. The blueprint that will be developed under the lead of Supreme Allied Commander Transformation (SACT) is a NATO funded project to identify and develop capabilities supporting the implementation of the NATO Stability Policing (SP) aspiration from the 2016. NATO Rapid Deployable Corps Italy (NRDC-ITA) will be represented with an Italian Carabinieri delegation, expert in SP operations, chaired by Lieutenant Colonel Massimo PANI. The plan, which will last one year, is going to convene more than 100 experts belonging to 40 bodies of the Academic world, international organizations and worldwide institutions. The project is going to be developed in 4 workshops that will be held other than Rome, in Bucharest (late February 2017), Amsterdam (May 2017) and Vicenza (Sept 2017). - SP relationships with other International Partners (e.g. EU, OSCE, UN, Interpol, Europol, CPCC, CNPD). The SP is a set of police-related activities for the restoration and/or upholding of the public order, security and rule of law as well as the protection of human rights through supporting and, when necessary, temporarily replacing the indigenous police forces, when the latter are either unable or unwilling to perform the function themselves. SP falls in the Security Sector Reform (SSR) activities, which involves reforming security institutions so that they can play an effective and accountable role in providing internal and external security, as well as in the military assistance to civil authorities, that may require involvement in civil security tasks, including operations to maintain local law and order until appropriate civil authorities can take over their tasks.